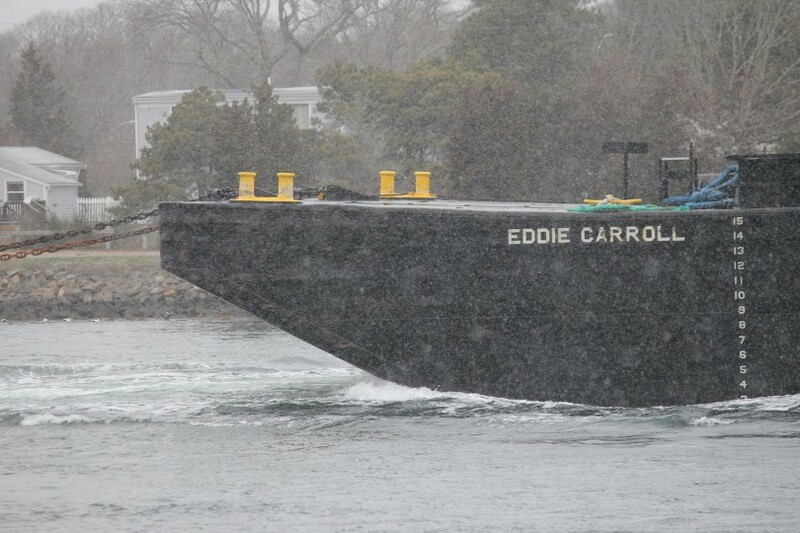 BOURNE – Wind, cold, gray, sleet, snow, and a tugboat. 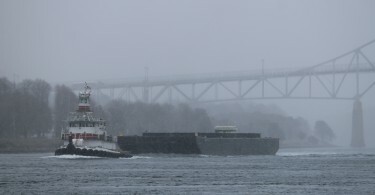 Along the Cape Cod Canal, we risked the first photography-induced frostbite of the season to get these photos of a tugboat emerging from the snowy fog under the Bourne Bridge and then heading under the Cape Cod Railroad Bridge. This kind of stuff happens every day on Cape Cod.